7400 here, and this is my Crypto ASIC blog dedicated to the intersection of two big passions: a lifetime career in digital system design, and my work since 2013 in cryptocurrency. Most visiting here know me as the lead engineer at dcrASIC, and I'm sure you are excited as I am about our ASIC developments for Decred. A big topic here is news and insight about my work there. I also hope that you take away from your visits here a greater understanding of ASIC technology. This is imporant, as ASICs power all of the digital things in your life, from your phone, to your car, to the internet servers delivering this blog to you. You will find recent articles below, and archived ones in the menu. I'm just getting started with this blog, so check back regularly, or subscribe to keep up with news and posts. If you have questions, feel free to Email me, and I'll try to address in a post. FAQ: how are full and semi custom ASICs verified? ASIC designs are written in a C-like language called Verilog. This language allows us to verify our designs by simulation. Verification means that we test our designs before building anything physical. This is critical because ASIC tooling costs are in the millions, and one mistake can mean the tooling will spoiled, costing millions and months of schedule delay. And that could be a fatal mistake. There are two main levels of logic verification. The first is simulation that runs on a computer, much like VMWare executing a virtual PC. We use a Verilog simulator by Synopsys called VCS, which is really fast as simulators go. However it is really slow compared to the real thing. So we use it during development to test only parts of the chip, or for limited tests of the full chip. These are the so called regression tests. The second level of verification is actually implementation on an FPGA, which is essentially a reprogrammable ASIC. We use a 20nm FPGA system by Altera. It allows us to build an instance of our ASIC at the cost of the thousands of dollars, not millions. Typically an ASIC implemented on the FPGA runs ten times slower than the physical ASIC because clock rate and size are not as great as the real thing. 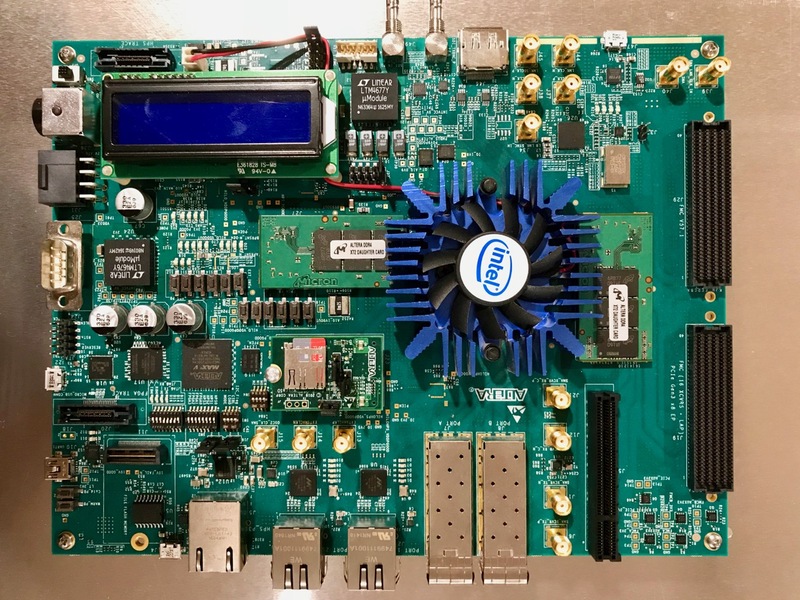 The big advantage of FPGA implementation is that while it’s not the real thing, it is still powerful enough to enable real time system testing, so called end to end test. It’s like getting chips six months early. Our test system consists of Decred’s reference gominer running on a Raspberry Pi, talking to our ASIC implemented on the FPGA. Thus we have a full dcrASIC mining system. So today, even before tapeout, we have high confidence in our design because our ASIC has already been mining pool shares. We’ve probably only made pennies on it. But those pennies are worth millions. Now the critical part in this whole process is that the FPGA and production ASIC implementations need to faithfully reproduce the behavior programmed in Verilog. One tiny deviation can be fatal. The key here is a machine translation process called “synthesis” that is akin to compiling a C program to a binary executable. Like C compilation, synthesis ensures that the resulting FPGA implementation behaves exactly as programmed. The synthesis tool we use is Design Compiler by Synopsys. In the FPGA case, the result is a binary file that is loaded into the FPGA at power-up. For the production ASIC, the ultimate result of synthesis is a GDSII file. GDSII is essentially the blueprint that the factory uses to mass produce the ASIC; it specifies where to put all the transistors and how to wire them all together. The transistors are organized into “standard cells” that implement primitive functions like a NAND gate or flip flop. The standard cell library contains the blueprints for these primitives, and synthesis targets this library for the production ASIC. In the C analogy, the standard cell library is like the instruction set that the compiler targets. The standard cell library is critical to ensuring correctness of the ASIC. One error can mean disaster. As a result, standard cell libraries undergo extensive development, verification, and test, and are supplied fully verified and characterized in real silicon vs voltage, temperature, and process variations. Top tier library vendors such as ARM or Synopsys, have invested millions of man-hours over decades in development. These libraries are also well proven in production. Hundreds of billions of dollars of ASICs for your phone, laptop, car, etc have been built with them. All this is sound engineering, but still not sufficient to ensure success. The ASIC design process also has many checks to ensure nothing slips through the cracks. We also employ “formal verification” tools that double and triple check everything. These tools examine the various intermediate representations like RTL, netlists, and GDSII, to help ensure integrity. Actually in the C analogy, there is really no comparable step. But how does this work in full custom? Not as well. The main differences between full and semi custom are: a) that translation is performed by humans instead of machine, and b) that there is no standard cell library, rather primitives like NAND gates are individually designed by hand. The full custom designer is chasing the possibility to better optimize the low level circuitry. (More on the misguided optimizations in a subsequent post.) For this chase, the full custom designer accepts significant compromises to verification and integrity of the ASIC design. Full custom bypasses synthesis and inserts humans to translate the desired behavior to transistors and physical layout. This is akin to programming a computer in binary op codes. It’s a laborious and error prone process. To understand its complexity, consider that in full custom design something as simple as changing a comparison from LT to LE requires one man week of design time. With all that manual work, errors are introduced. The virtue of full custom has become a liability. Full custom also requires a third level of simulation – analog simulation. The reason again is because of one of its virtues. Full custom design does not employ the standard cell library. Instead, transistor and physical layout are custom designed for each circuit in the ASIC. Indeed the foundations of the full custom design are weak compared to the fully developed and characterized semi-custom standard cell library. Thus in full custom even the basic assertion that logic levels are always either one or zero can be violated, in which case the computation is pure nonsense. Further characterization of the circuits is not possible until the first silicon is returned from the fab. Analog simulations are employed to try to mitigate these problems. But those are not a full substitute for characterization of real silicon. And those simulations are orders of magnitude slower than even Verilog simulation. In practice it’s very difficult to simulate even part of a chip. And so the full chip behavior and characteristics are not thoroughly verified and tested, and more bugs creep in. Finally because full custom employs human transistor design and physical layout, FPGA system testing cannot be used to thoroughly prove the correctness of a full custom chip prior to production. But wait, don’t the biggest semiconductor companies like Intel employ full custom? Yes they do with teams of thousands of engineers working on it. And their designs have gone through hundreds of iterations to sort out the bugs. They also have multiple tape-outs to characterize silicon before final production. Full custom is a great choice their business. It may not work so well for lower budgets. The bottom line is that full custom verification is an error prone proposition compared to semi-custom. And so the greater risk of a fatal bug. Success in ASIC design comes from making wise risk tradeoffs. Compound too many risks, and your chances for success become infinitesimal. It is worth understanding that Bitmain, the big winner in the bitcoin ASIC wars, optimized three generations of their semi-custom design before applying full custom to further optimize their 4th generation. They played the game wisely and won. We agree with this approach, and we are using semi-custom for the first dcrASIC iteration. Actually there is one other equally important reason why semi-custom is more favorable than full custom, and that is for better optimization, and so better power and performance. That topic will be covered in a subsequent post. Imagine if cars became twice as fast, and cost half as much every two years. A strange world that would be. But that’s exactly the situation in semiconductor technology. That’s why your phones and laptops become obsolete so quickly. Sure you can try to use a seven year old phone, but quickly you find it won’t keep up. How is this exponential improvement possible? The semiconductor industry is a huge machine consisting of a half dozen competing foundries that iterate on semiconductor technology to improve as quickly as human ingenuity and economics allows. Each iteration builds on the previous. Not only on the physics and engineering, but on the ecosystem of companies developing equipment for the fabrication lines. Every two years, the entire industry achieves the next increment in improvement. Thus the 28nm process progresses to 20, then to 16, then 10, and 7, and 5, etc. each generation improving on the previous by a factor of two. Each nm number is called a “node”, and represents the size of a transistor. “nm” stands for nanometer, one billionth of a meter. By comparison a human hair is about 100 millionths of a meter. So a 28nm transistor is about 4000 times smaller than a human hair. Smaller is better because the transistors operate more quickly and with less power. It’s a principle of physics that smaller consumes less power (all other things being equal.) It takes much less energy to move aside a mosquito than a 75lb golden retriever. Great, let’s build everything at the smallest node possible! The spoiler here is that tooling costs, known as non-recurring-expense or NRE, increase exponentially as the nodes get smaller. 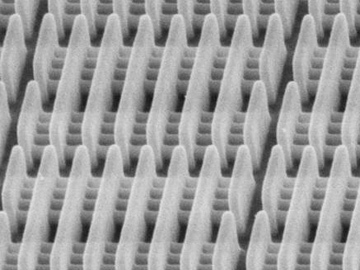 Most of that NRE is for masks, essentially the optical negative that is used to print transistors onto a wafer. So a 28nm mask costs twice 40nm, and 16nm twice 28nm, and 7nm four times 16nm, to the point where 7nm NRE is in the 8 digits. That’s a big barrier to entry. Today in 2017, the most advanced production node is at 10nm. The 16nm node has been in production barely four years. The 28nm node is two generations further back. But 28 sits at a sweet spot. It is still powerful enough to have wide applicability, but mature enough to be affordable — the fabs have now been paid off over 8 years of sales. The 28nm node a great target if you are building an alt coin mining ASICs today. However next year its sweet position will be displaced as the economics of 16nm crosses over, coinciding with the beginning of production at 7nm. Currently bitcoin ASICs are produced at 16nm. Next year some of the very first ASICs to be produced at 7nm will be for bitcoin. Those efforts are paying astronomical 8 digit NRE amounts for the first spots in the pipeline. 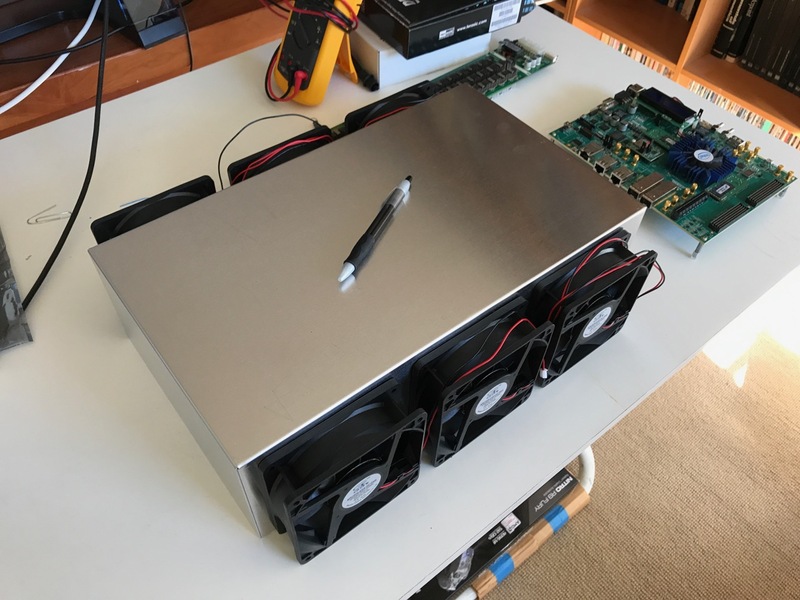 They are compelled to because power consumption is critical in the economics of bitcoin mining, and they can afford to because their volumes are so high. Bitcoin has become a huge business for the semiconductor industry. For the altcoin ASIC designer, 7nm is not an option. The economics just don’t support it yet. The choice is between 16 and 28. So looking toward the future, dcrASIC is choosing 16nm. For the industrial miner our goal is to maximize value and minimize operating costs. So in addition to offering great hash per buck, we are also looking to maximize reliability in high temperature environments. How will we cool a large box? Cooling difficulty follows from power density. While we appreciate the ambitious engineering that went into bitcoin miners, their reliability has proved suboptimal. Every unit that burns out means lost revenue and cost to service and replace. We can do better. So we are looking toward more efficient airflow and thermal coupling, and more reliable power densities. Actually we are a fan of the push pull fan configuration used in many bitcoin miners. It’s simple and does a great job of removing hot air. See photo of WIP for a six fan push-pull mechanical model that we are building for an airflow study. This unit is comparable in packaging to three S9’s stacked together. It is smaller than a midsize desktop PC. We believe the greatest uptime and value comes from easily sourced and serviced PSUs. These are high failure components, especially in high temperature environments. A PSU that can be quickly replaced while the Turbo remains on the rack is essential. Flexibility in form factor and sourcing offer value. And widely available used components further enhance it. Industrial miners already have an inventory and favored supply chain for PSUs. Tim and Salt of dcrASIC on Box Mining. Meet Tim and Salt from dcrASIC, and learn about what we are doing, and why we decided to bring ASICs to Decred.